Exclusive! 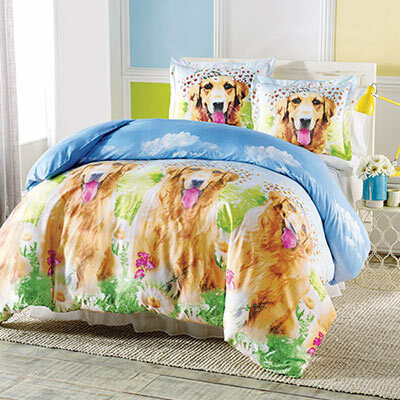 A friendly golden is just right for this invitingly cozy Daisy Dog duvet set! Polyester microfiber is super-soft and easy-care. Button closure. Machine wash. Imported.